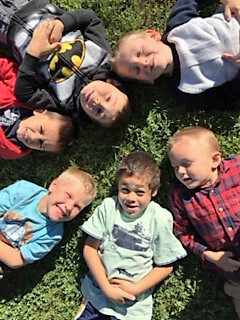 A Place to Grow Preschool is an inclusion program that embodies the values, policies, and practices that support the rights of every child and his or her family, regardless of ability, to participate in a broad range of activities. The desired results of inclusive experiences for children with, and without, disabilities and their families include a sense of belonging and membership, positive social relationships and friendships, and development and learning to reach their full potential. The defining features of inclusion that can be used to identify high-quality early childhood programs and services are access, participation, and supports. Children with special needs who are included in general education settings are more likely to exhibit positive social and emotional behaviors. Students are more likely to demonstrate increased social interactions with all peers, fewer feelings of stigmatization, and greater academic gains. Higher expectations ultimately lead children with special needs to achieve more, gain confidence and independence, and develop a stronger sense of self.